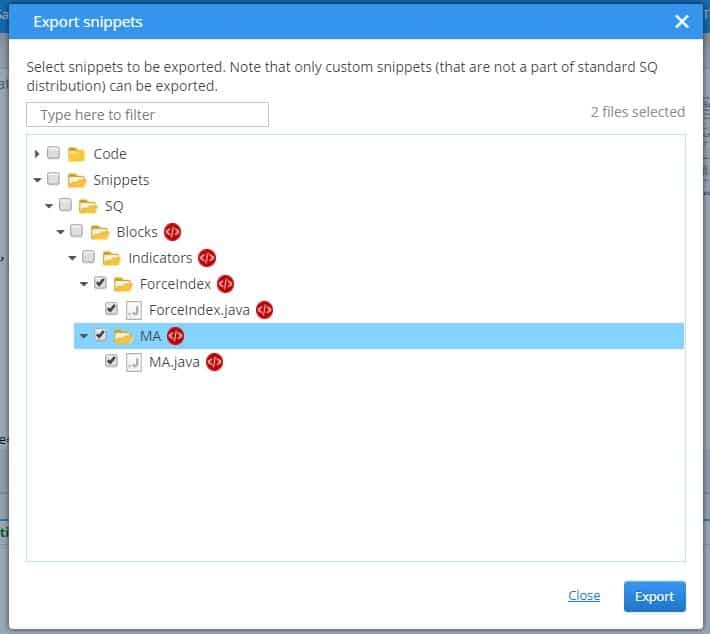 StrategyQuant CodeEditor allows you to simply export custom indicators and other snippets you created, and then import them on another computer or send it to another user for import. Note -only custom snippets can be exported, because default set of snippets is the same on all SQ installations. 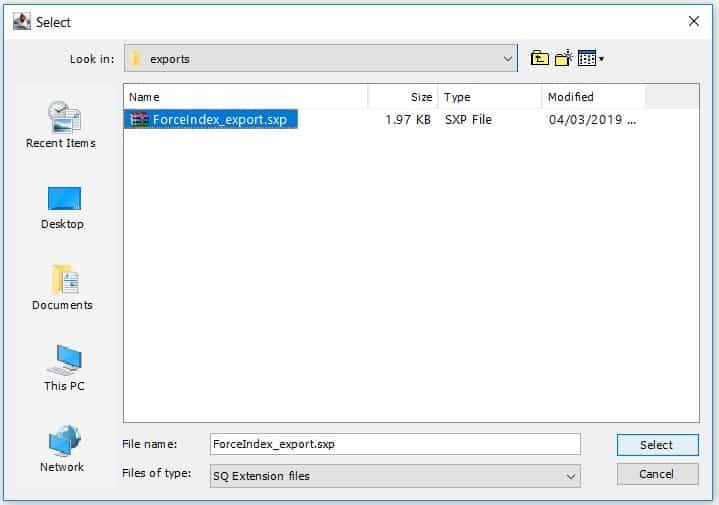 Let’s try to export two indicators created in ForceIndex article. this will open a dialogue where you can select which snippets you want to export. You can export multiple of them. In your example we’ll choose MA and ForceIndex snippets. 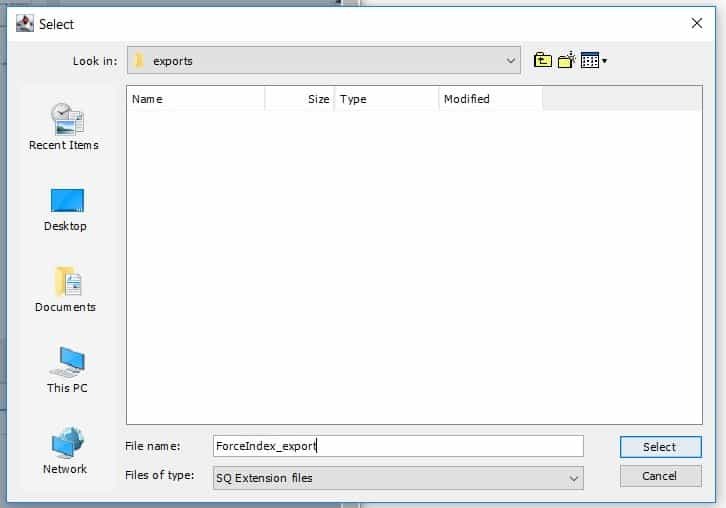 We’ll name the file ForceIndex_export. Click Select and your selected snippets will be exported to this file. The file will have an .sxp extension. You can now use this file to import the indicators on another SQ installation, or send the file to another user to import them. and click Select. All the snippets in this file will be imported. Now you have the snippets in your SQ code base. Hit Compile all to recompile all the snippets and you’ll be able to use them in SQ or in AlgoWizard.